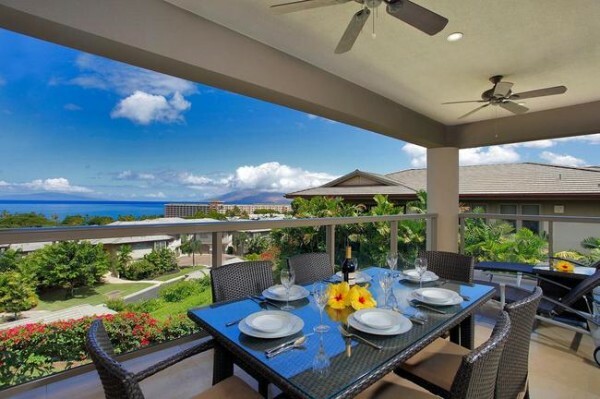 Brought to market only a few days ago, Island Surf 203 is a neatly renovated unit with 2nd floor views out towards South Maui’s wonderful coastline. The 96 sqft coverer lanai is the units greatest perk where the panoramic ocean views and gorgeous sunsets can be enjoyed daily. 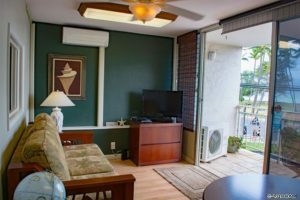 Aside from its premier location on South Kihei Road, the Island Surf’s divers-ability is one of its best features; it may be used for commercial office space, a residence, or as it is currently configured, a vacation rental condominium. 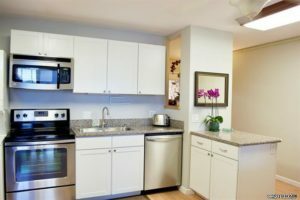 Totaling 1 bedroom, 1 bathroom, and 602 sqft of interior space, the unit is on the smaller side but its prime location to all of Kihei more than makes up for it. While there are large windows to open up some breeze, buyers can enjoy the new AC system that was recently put in. 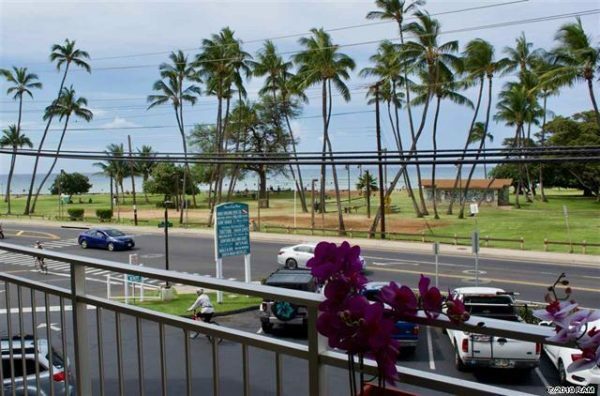 Enjoy the convenience of the building’s ground floor shops and restaurants or take a short stroll down South Kihei road to several more dining and shopping options. Units at Island Surf are rare to market and when they do come, they draw some serious interest from buyers. 2018 got off to a slow start for the complex where it saw 0 sales in the first quarter and only 1 sale in all of the first half of 2018. Towards the latter half of summer, 1 sale was completed with 3 more closing in the later stages of Q3 and Q4. Most notable of all was that each of the 5 sales closed within 2 months of coming to market; in fact, 1 transaction was completed before the unit even came to market. 80% of the units sold were 1 bedroom units with varying floor plan sizes, while the remaining unit sold was a spacious 2 bedroom unit. For the most part, the sweet spot in the community is the upper $400k price range with only 1 unit sold in the mid $500k price point. From a value perspective, price/sqft ranges from $550-$750. The market can change at a moments notice with a flurry of units flooding the market. The best way to stay up to date is with our Island Surf new listing email alert. These alerts can be customized to any price point and criteria, we are always available to help you with setting up your alerts.